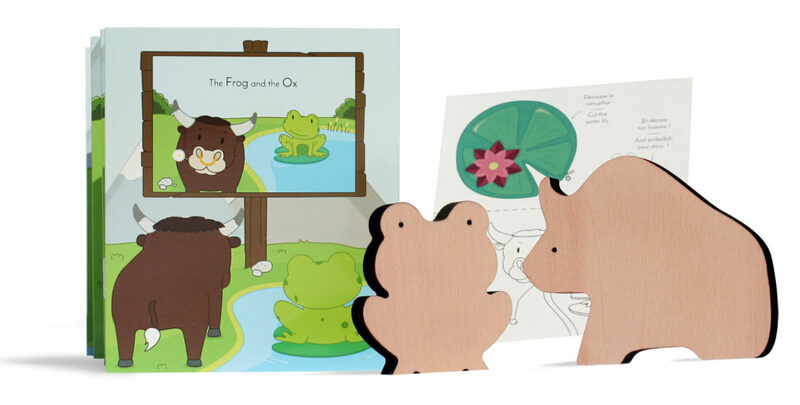 Discover the pleasure of reading through the game with this Box “Fables animées”. 4 stories of your choice. 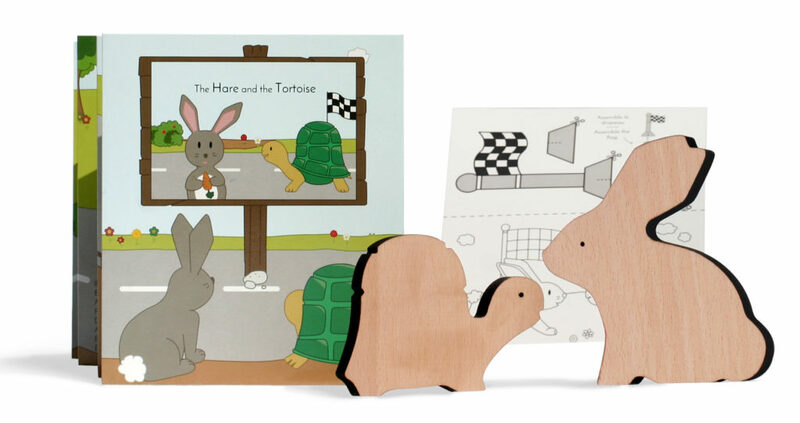 Printed in France with 100% recycled paper. 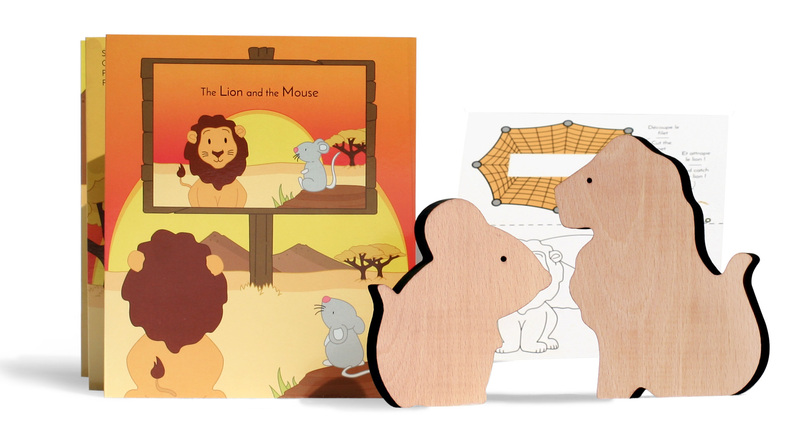 – 1 book the Aesop Fable in english The Lion and the Mouse first side and Fables in french of Jean de la Fontaine “Le lion et le rat” on the other side. 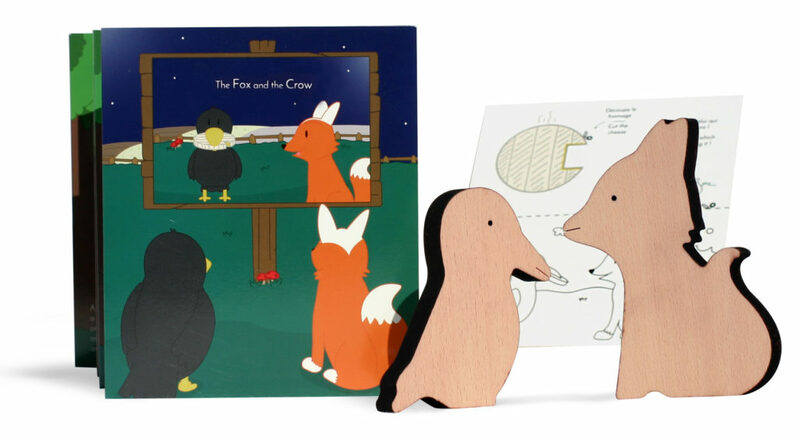 – 1 colouring and cutting card to play with the figurines and the book. 100% made in France ! The book is printed with non toxic inks with eco label “imprimvert” in France on 100% recycled paper. Figurines are made in France in our workshop with solid beech wood without any treatment. Well packaded in a cardboard packaging printed in France, with non toxic inks.